The figures, provided by IQVIA, a pharmaceutical analytics firm, don’t reflect prescriptions dispensed from abortion clinics. But low numbers in provinces such as Manitoba suggest that for some women, getting a prescription from a family doctor and having it filled at a local pharmacy are a challenge. Barriers to abortion in Canada are complex and vary by region, according to women’s health advocates, who say timely access to abortions is important. 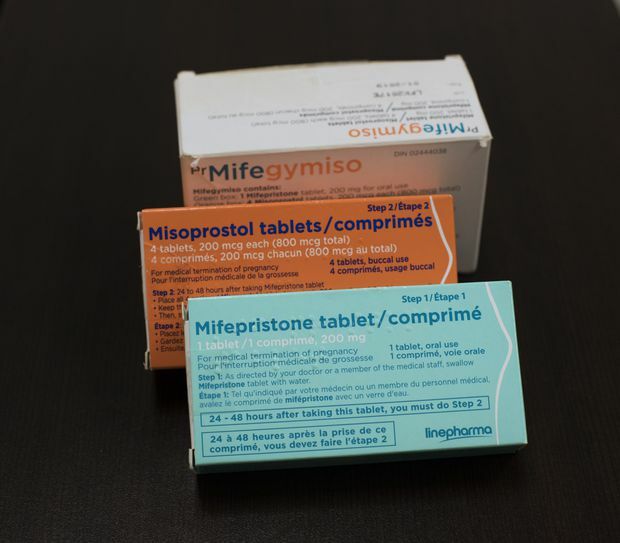 Delays can affect the type of abortion a woman can receive – Mifegymiso can only be prescribed to women in the first nine weeks of pregnancy – and waiting also exposes women to pregnancy-related symptoms, such as nausea, vomiting, stress and anxiety. Last month, The Globe and Mail highlighted access barriers in Nova Scotia, where women regularly wait a week or more for abortions because of an ultrasound backlog. But it’s not the only province with barriers. The policies in Manitoba are more restrictive. The government added Mifegymiso to its Pharmacare program, an income-based program that provides medication to those who pay a deductible. The program helps low-income women get prescription drugs for free. Otherwise, the province only covers the cost of Mifegymiso at one of three abortion clinics − two in Winnipeg and one in Brandon − and wait-lists are typically long. Women who live outside of those cities must deal with the logistics and costs of travel. Shaun Gauthier, vice-president of medical and diagnostic services for Prairie Mountain Health, which oversees Brandon’s abortion services, said many women wait about a week for an abortion. If they are near the gestational age limit for Mifegymiso, they can be expedited. The Women’s Health Clinic in Winnipeg described a more challenging situation. The clinic has enough funding to open only twice a week and it can’t keep up with patient loads, said Nadine Sookermany, the executive director. The current wait for an abortion using Mifegymiso is two weeks; for a surgical abortion, it’s three. Government spokeswoman Andrea Slobodian said in an e-mail that 587 women have received Mifegymiso in Manitoba from the time it came on the market until June this year. 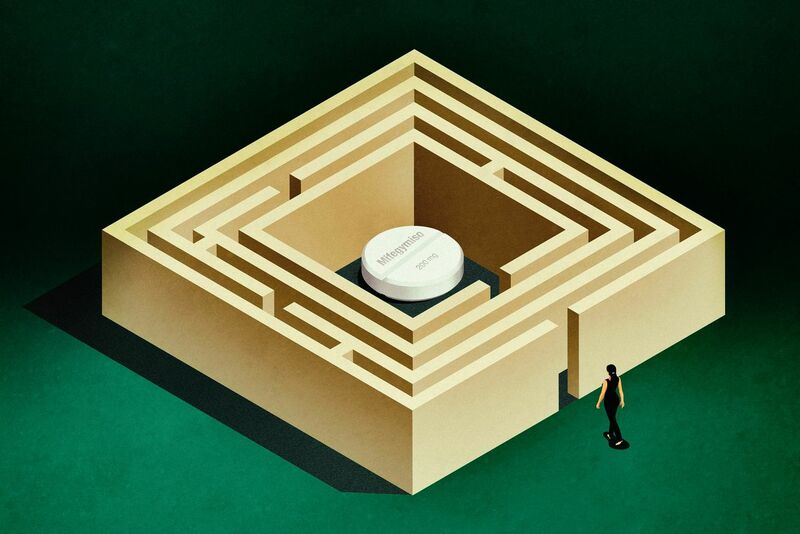 While the IQVIA figures say no women have received prescriptions from retail pharmacies, Ms. Slobodian said 29 prescriptions for the abortion pill have been dispensed from retail pharmacies as of June. Wendy Norman, associate professor in the department of family medicine at the University of British Columbia, said Manitoba’s policy “appears to be more political than making sense for the health of the people." Status of Women Minister Rochelle Squires, who oversees abortion services, said in an interview the province may be open to changing its policies. “We’re watching the uptake for patients accessing the drug and looking at what other jurisdictions are doing,” she said. Like Manitoba, Prince Edward Island covers the cost of Mifegymiso for women who go to the island’s Women’s Wellness Program for their abortion. But Autumn Tremere, a spokeswoman for Health PEI, said in an e-mail all doctors on the island can request Mifegymiso free of charge through the wellness program. Waiting times for drug-induced abortions are about a week because of an ultrasound backlog. On Sept. 1, Newfoundland and Labrador became the latest province to offer universal Mifegymiso coverage. Now, Saskatchewan is the only province with no coverage outside of its provincial drug plan for low-income residents. Shelley Svedahl, a spokeswoman with province’s Health Ministry, said women who can’t pay for the drug can ask their pharmacist for emergency assistance and they may get a reduced price. Lyndsey Butcher is executive director of the SHORE Centre sexual-health clinic in Kitchener, Ont. She says many doctors have told her they're not comfortable prescribing Mifegymiso. Even in provinces where the drug is fully covered, some women have trouble getting it because few health providers are willing to prescribe. The SHORE Centre, a sexual health clinic based in Kitchener-Waterloo, Ont., regularly sees women coming to get a Mifegymiso prescription from small towns hundreds of kilometres away, as well as from large cities such as Hamilton, because their family doctors would not prescribe it. Lyndsey Butcher, the clinic’s executive director, said she has called many of the doctors to ask why they won’t prescribe. In most cases, the doctors say they aren’t comfortable doing it. It’s unclear how many health professionals are prescribing Mifegymiso, but signs suggest it’s a relatively small number. Only 537 family physicians and 134 nurse practitioners have completed the Society of Obstetricians and Gynaecologists of Canada’s online training course for prescribing the abortion pill. The training course, which was mandatory from January until November, 2017, is now optional. Jeff Sisler, executive director of professional development and practice support with the College of Family Physicians of Canada, said there are efforts to encourage physician prescribing of the abortion pill, including a session at the group’s annual conference in November and an online support group where family doctors can access the guidelines and have questions answered anonymously. He said doctors are busy and the abortion pill is new to Canada, which explains why rates of prescribing among family doctors may not be very high. A minority of doctors might refuse to prescribe on the basis of conscientious objection, he said. Mifepristone tablet is an abortion pill that is taken under supervision, and Misoprostol pills are taken 24 to 48 hours after taking the Mifepristone. These can be taken up to 10 weeks after becoming pregnant. Health Canada’s product monograph for Mifegymiso says ultrasounds must be done to verify the gestational age of the fetus and ensure the pregnancy is in the uterus. But product monographs are not binding and Health Canada does not have jurisdiction over how doctors deliver care. In many parts of Canada, health officials say ultrasounds are required before a drug-induced abortion. But some health providers, such as Dustin Costescu, lead author of Canada’s pharmaceutical abortion guidelines, say too much emphasis on ultrasounds can leave some women waiting days or weeks for an abortion, which he said is not ideal. Canada’s guidelines recommend ultrasounds, but if a machine isn’t readily available, health providers can use blood tests and pelvic exams instead. Dr. Costescu, a family planning specialist, noted the majority of pharmaceutical abortions in France are done without ultrasounds. In Nova Scotia, women wait about a week for an abortion because they have to have an ultrasound done at the hospital’s diagnostic imaging department, which has a backlog of patients. The province’s only abortion clinic recently purchased its own ultrasound machine, but the Nova Scotia Health Authority says clinicians can’t use it for dating ultrasounds. The NSHA has not explained why this is the case. Access to an ultrasound can also be limited in smaller, more remote communities, which may be contributing to abortion delays, said Joyce Arthur, executive director of the Abortion Rights Coalition of Canada. “Family doctors are not going to have an ultrasound machine in their office. If they are in a smaller community, it’s going to be an issue,” she said. IS TRAINING IN QUEBEC NECESSARY? Quebec is home to about half of the abortion clinics in Canada and has a reputation for providing access to surgical procedures. But from January to August this year, only 144 Mifegymiso prescriptions have been dispensed from retail pharmacies there, according to IQVIA. One reason could be the province’s College of Physicians requires doctors to take a one- or two-day training course at an abortion clinic before prescribing Mifegymiso. But Dr. Norman said the training course is "unnecessary” and is an example of how provincial policies are getting in the way of timely access to drug-induced abortions. Mifegymiso presents an opportunity to ensure all women in Canada have timely abortion access, but the piecemeal approach to making the drug available suggests much more work needs to be done, Ms. Arthur said.